Two weeks ago I had the opportunity to meet Elizabeth Klehfoth, I didn’t know what she wrote so I bought her book and read it in one long sitting on the day of the meet & greet. I loved every page of it. I give All These Beautiful Strangers by Elizabeth Klehfoth five out of five hearts because Elizabeth’s writing is great and the entire novel is easily filled with suspense. Charlie (or Charlotte) is the daughter of an absent father and a missing mother, she is trying to get into a secret society in her fancy boarding school. She focuses on the activities she has to do to get in, to forget about her own issues. But the more she does within the school, the more her past is pulled into it and slowly but surely she finds out what happened to her mother. Charlie is the main character of All These Beautiful Strangers, but the story is also told from the point of views of her mother and father of ten and twenty(-one) years earlier. This made it very interesting because it slowly drops the hints the reader needs to figure out what really happened. The end contains a prologue, rounding off the entire story into a nice gift-wrapped present. Perfectly done by Elizabeth. 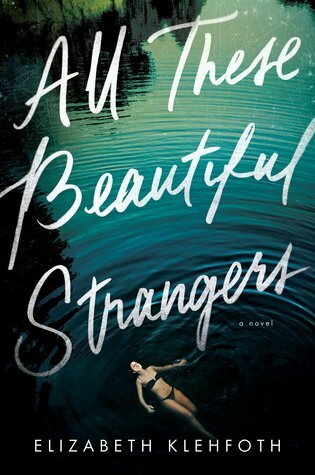 Overall I think All These Beautiful Strangers is a great mystery read. I gave it also the genre Thriller, but it is not extremely scary. It was however very suspenseful and I really wanted to finish this book to know what happened. This entry was posted in Book Review and tagged Book Review, Drama, Elizabeth Klehfoth, Mystery, Romance, Thriller. Bookmark the permalink.